Tons of photos below so please scroll down. 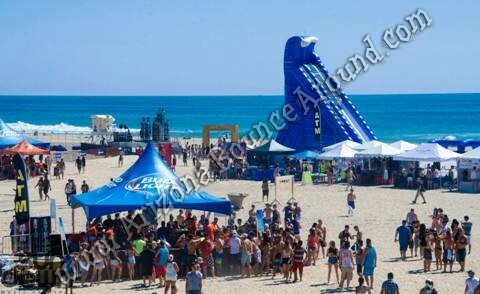 Our dual lane 42 foot tall water slide is the perfect thing to draw attention to your event standing 42 feet tall and 115 feet long. 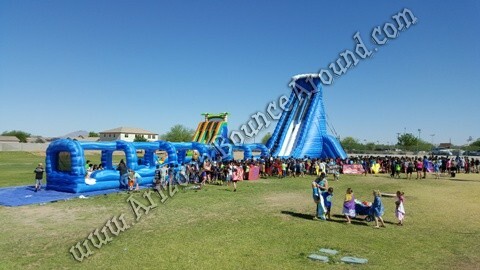 This slide features dual slide lanes and easy to climb steps perfect for almost all age groups but sure to thrill everyone at the party. 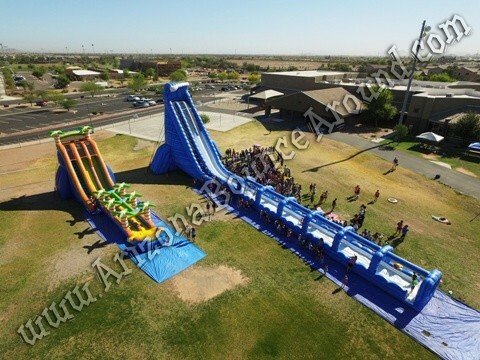 This amazing 42' water slide features dual slide lanes lanes with no divider on the slip n slide for maximum speed and fun on the way down. 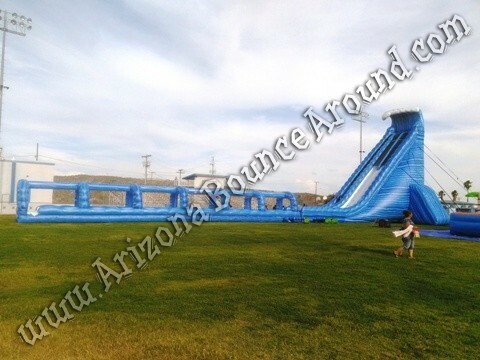 The white slide liners keep the slide surface cool during use. 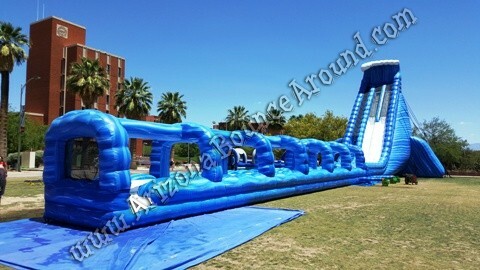 If you dont have the room be sure to check out our new 43 foot tall water slides that only require 90 feet long. 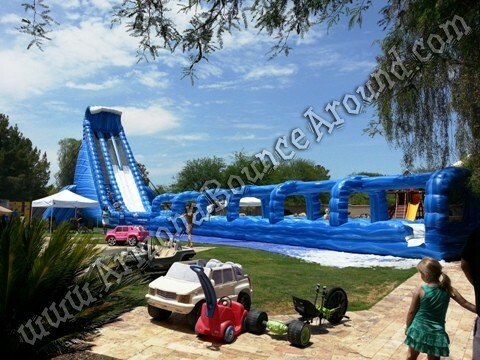 We are the leader in big water slide rentals in Colorado and have more big water slides in stock than anyone in Colorado, California, Nevada, Utah or New Mexico. 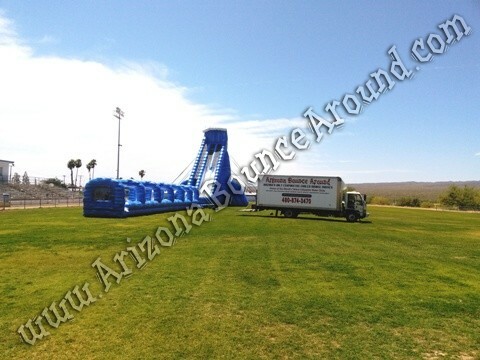 We have years of experience with big water slides for city events, graduation parties and private events. 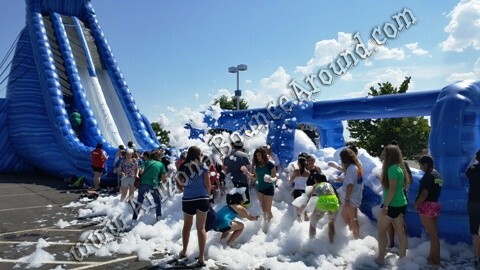 Our 42 foot tall water slide features dual lanes but the slip n slide is wide so you enjoy the ride to the end like this guy blasting thru the foam. 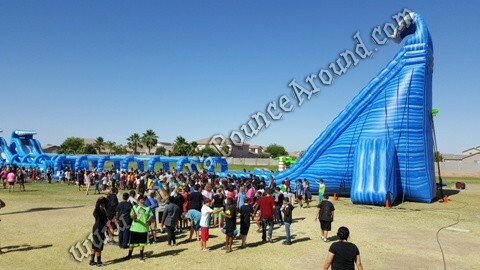 With no center divider in the slip n slide makes racing your friends more exciting. 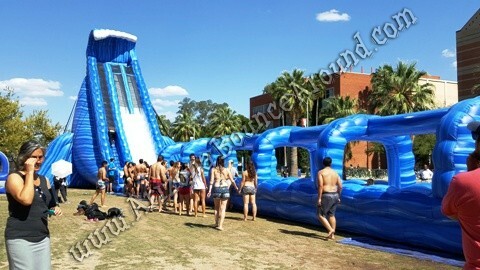 This slip n slide does not have a pool at the end so the slip n slide stays clean. 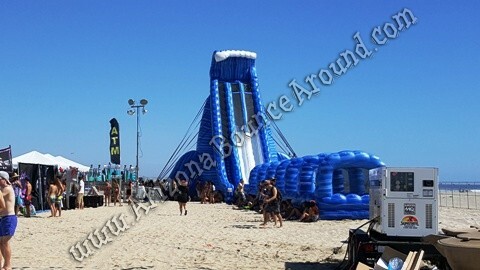 None of our big water slides have pools at the end for sanatization reasons. 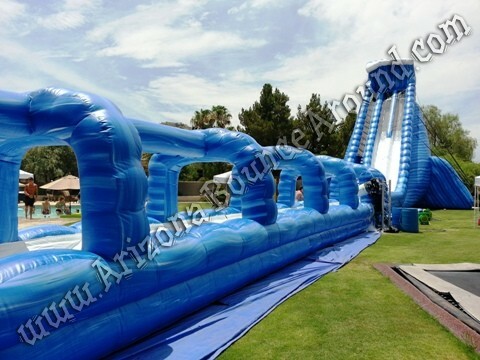 Our 42 foot tall water slide is new for 2019 and in stock ready for your next party or event. 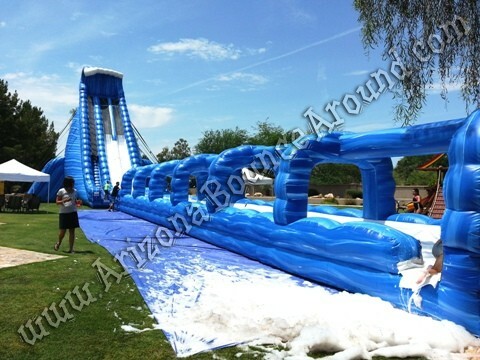 This 42' tall water slide is 115 feet long features dual slide lanes and a super long slip n slide that will be sure to please. More exciting photos soon.